Welcome to She Leads Heathcare! To improve healthcare disparities, advance scientific knowledge, develop innovation in medicine and run our hospitals, we need the knowledge and talents of our entire dedicated workforce. Leadership diversity --in all forms-- is one of healthcare's greatest, yet underutilized, assets. We are committed to supporting all healthcare professionals as that is the surest path to optimizing the health of every person. Why focus on women healthcare leaders? The answer is simple. We are underutilizing a huge component of our healthcare workforce, and there are well documented gaps in nearly every aspect of professional advancement. Read "A Reflection for Women in Medicine," by Julie K. Silver, MD. Female physicians, researchers and other healthcare leaders are often underrepresented as experts discussing medical issues at hospital events, national conferences and in the media. We need your help to disseminate this call to action, and the research to support it. Join us by downloading and disseminating the Be Ethical Campaign white paper to as many leaders and colleagues as possible. Conference organizers can order #BeEthical gear (SWAG) to spread the word and keep the message “top of mind” for healthcare leaders. This will also help to support disparities research for women in medicine and our patients. Women account for the majority of the healthcare workforce; however, a large body of research demonstrates unaddressed or poorly addressed disparities. 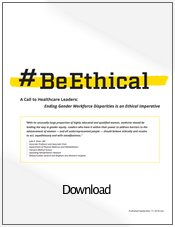 The Be Ethical Campaign is a call to action for healthcare leaders to recognize that workforce gender equity is an ethical imperative and to take action to bring about change. Studies show that women in medicine get less pay for equal work, are promoted less frequently, have fewer opportunities to publish, and receive less recognition than their male counterparts. Gender disparities are discouraging women from reaching their full professional potentials. They must contend with biased language and behavior in everyday interactions with some colleagues and in more formal communications, such as interviews, evaluations, and recommendations. Too many endure sexual and other harassment. Being underpaid, undervalued, and disrespected contributes to burnout symptoms. An environment that does not treat women fairly compromises excellence in patient care and the advancement of medical research. Traditional approaches to achievement of gender equity have not worked well enough. Leaders often point to anecdotal successes rather than system wide changes that can be quantified. A comprehensive scientific approach utilizing data analysis is the surest path toward workforce equity. 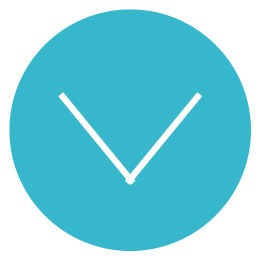 This will require leaders to commit to prioritization, funding, implementation of metrics, and reporting of outcomes. All healthcare leaders should be committed to creating a culture of professionalism and ethical conduct through, among other things, education about the current research on workforce disparities, analysis of data, and the use of scientific methodologies to drive desired outcomes. All healthcare leaders should be committed to creating a culture of professionalism and ethical conduct through, among other things, education about the current research on workforce disparities, analysis of data, and the use of scientific methodologies to drive desired outcomes. Find out more about this campaign at WomensLeadership.HMSCME.com.